The Samsung Galaxy Alpha is expected to release in September, 2014. The Alphe will be released on Kit Kat in black, silver, white, gold and blue. The Alpha has a 4.7″ Super AMOLED touch screen, and most likely by protected by Corning Gorilla Glass. The Alpha only comes in a 32GB model, which is not externally expandable. The Alpha carries a 12PM dual-camera with a 2160p camcorder. It also features a 2.1MP front-facing camera, for all your video chatting needs! It’s rumored to have a quad-core 1.8 GHz processor with a 2GB RAM. Once unlocked, this device will work with compatible GSM carriers worldwide. Unlocking your Samsung Galaxy Alpha is fast, simple and 100% guaranteed by Cellunlocker.net. Unlock your Samsung Galaxy Alpha with Cellunlocker.net and get your network unlock code on the same day! Why Unlock your Samsung Galaxy Alpha with Cellunlocker.net? * There is absolutely no risk of damaging your Samsung Alpha phone by unlocking it. 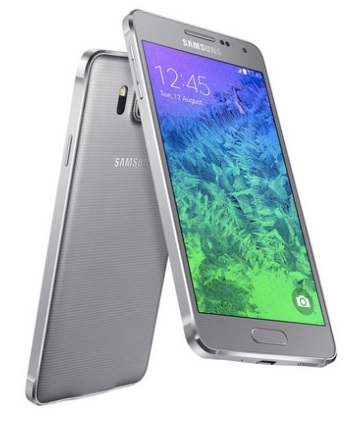 Unlock Samsung Galaxy Alpha Today!